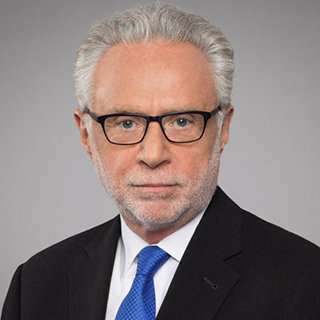 Wolf Blitzer had always been described as a robot for his monotonous looking presenting style with the CNN. However, the award-winning journalist provided a glimpse to all his audiences that he was human, after showing his emotion. The 70-year-old is the lead political analyst for the CNN covering a wide range of subjects for the network. He is the host of two daily shows with the CNN, Wolf and The Situation Room with Wolf Blitzer. Wolf began his journalism career with the Reuters working as the Israel correspondent for the network after graduating in history from the State University of New York. His work at the Reuters caught the eye of the editor of Jerusalem post, who recalled Wolf back to the DC to work for the paper. During his stay with the magazine, he mastered Hebrew and contributed to numerous Israeli magazines in Hebrew. After serving close to two decades at the Jerusalem Post, he was offered a job with the CNN as military affairs reporter. He spent a month in Russia in 1991, becoming one of the first journalists to access the communist nation. His insightful reporting of the Oklahoma bombing won him an Emmy in the year 1995 and began his stint as an anchor in 1999 with CNN's Late Edition with Wolf Blitzer. After hosting numerous other programs for the network, he has had his show The Situation Room with Wolf Blitzer, which started airing in 2005. Furthermore, he also is the host of Wolf, a political analysis program since 2013. Wolf has courted plenty of controversy during his time with CNN. One such instance that stands out was the CNN's coverage of Virginia shooter Vester Flanagan, who killed two journalists. Once it was confirmed that Vester was gay and had founded gay websites, Wolf and CNN crucified Vester for his sexuality. However, openly gay CNN host Don Lemon condemned the gay shaming of Vester that was going on with CNN, leading to Wolf drawing back his remarks. What's more, his presentation style was described as resolutely humorless by the NewYork magazine in 2015. The newscaster was born on 22 March 1948, to Jewish refugees from Poland in Ausberg Germany. His parents, Holocaust survivors, migrated to the states with their son and raised him up in Buffalo, NewYork. 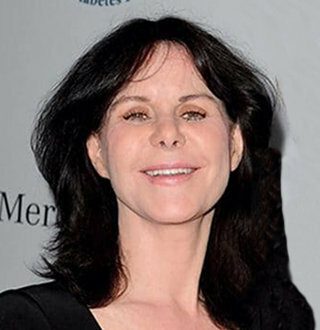 He was married to Lynn Greenfield in 1973, and the couple has a daughter, Ilana Blitzer together. Ilana is a celebrity in her own right and has followed in her father's footsteps and is the beauty editor of two magazines, Health Magazine, and All You Magazine. Ilana was married to Joseph Gendelman in November 2008, with the blessings of Wolf and Lynn. The Gendelmans and the Blitzers were family friends and turned their relationship from friends to in-laws in 2008. The marriage ended in divorce and Ilana married David Snider in 2015. It was with David, Ilana was able to provide the ultimate happiness to her father, Wolf. Blessed with a lovely wife and a regular job which he loved, the only thing missing in Wolf's life were grandchildren. And in August 2016, his daughter Ilana gave birth to a son, Ruben Daniel Snider, making Wolf a grandfather. His CNN colleague shared an adorable picture of Wolf looking at his newly born grandson and congratulated the family on their happiness. The veteran broadcaster, who is known for his cold-blooded questionnaires and grilling of the politicians, is human after all. The TV personality, who likes to be just known as a reporter and does not regards himself as a celebrity, has a new title attached to his name, Granddad. And reflecting on his gesture towards his grandson, he must be loving his newest attache. Wolf is not only a veteran journalist but also an occasional movie actor--cameo star to be more precise. Over the years, he has made numerous cameo appearances in the movies like Skyfall, Batman V Superman: Dawn of Justice, and a guest appearance in Netflix's political drama, House of Cards, as well. His most recent, and probably most important appearance, was in new Tom Cruise movie, Mission Impossible: Fallout. Wolf appear as himself in a small cameo in the movie, which was released on 27 June 2018. About the experience, Wolf told Screen Rant's Danny Salemme that he didn't see how much pivotal his role was until he saw the film in the theatres. That was the reason, Wolf said, he didn't feel any pressure shooting with Tom Cruise for a sure-blockbuster-hit. Apparently, the role was something he was comfortable with, a role he had been preparing all his life. So, everything went quite smoothly. In the end, Wolf's work, along with everybody else's, paid off and the movie grossed over $ 791 million.